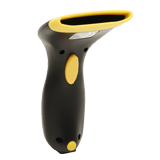 Rapidly read 1D and 2D barcodes and QR codes with the Wasp WDI4500 barcode scanner. 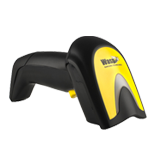 The WDI4500 streamlines data entry, allowing you to instantly add barcode data to spreadsheets, word documents, and databases. Use the WDI4500 to improve efficiency and eliminate data-entry errors in healthcare, retail, office, shipping and receiving, travel, hospitality, manufacturing, and more. Installing and using the WDI4500 is fast and simple. Connect the WDI4500 directly to your PC’s USB port, and you’re ready to begin scanning 1D and 2D barcodes. 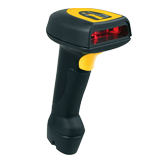 A built-in laser aiming guide ensures that you are scanning the right barcode, even on labels or printed pages with multiple barcodes. Customized programming is easy to implement, and allows you to add information to active documents in the right format for your organization. Rely on the WDI4500 to deliver the reliability your business depends on. The WDI4500 can withstand multiple 5’ drops to concrete and features durable construction, designed to limit downtime – so your organization is always ready to scan barcode data.